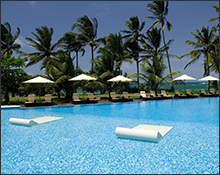 We present a wide range of memorable places to stay in the world’s most sought after destinations. Our mission is to provide you with the best value, by combining competitive pricing with exclusive privileges. Whether you seek renewal, culture, celebration, adventure or relaxation, we are confident that we can exceed your expectations. 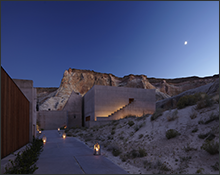 This November, the beautiful canyons of Amangiri play host to Donato Helbling, Andrew Clark and Jodi Carey, three of the most innovative masters in their art who challenge the limits of yoga, movement, meditation and healing for a four-night retreat. Book three nights and get the fourth night on the house giving you the perfect opportunity to make the most of London with Claridge’s as your base. In the heart of Amsterdam’s famous museum district, right opposite the Rijksmuseum, Van Gogh Museum and Stedelijk Museum, is the Conservatorium hotel. The hotel's Taiko Restaurant by Schilo, Brasserie & Tunes Bar are widely renowned to be three of Amsterdam’s hot spots. 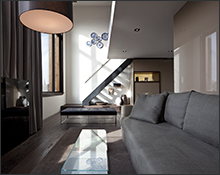 Enjoy your personal experience at the Conservatorium hotel! The Fairmont Kea Lani is Hawaii’s only all-suite and villa luxury oceanfront resort, situated on 22 acres of tropical landscape in sunny Wailea. There are activities for everyone. Take advantage of 20% off on rooms! 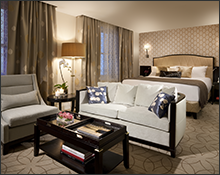 Palace Hotel San Francisco's luxurious guest rooms capture the feel of a chic, private residence in beautiful downtown San Francisco. 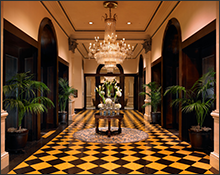 Authentic one-of-a-kind details restored to perfection featuring skylit indoor pool, fitness center, famous Garden Court restaurant and iconic Pied Piper bar. 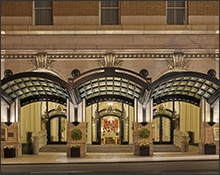 Experience the newly renovated San Francisco icon with a 4th night free! 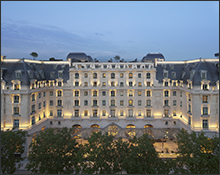 The Peninsula Paris offers spectacular terraces, gardens and skyline views, the finest accommodations, superlative dining and the legendary Peninsula service. In the heart of Paris and walking distance to museums, famous sites and shopping. Explore the City of Light with a 20% off the best available rate! 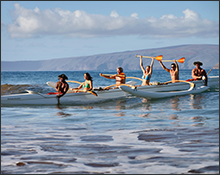 Reserve now through December 30, 2015 for stays between August 26th and December 30th, 2015 and receive every 4th night complimentary for all room categories plus our exclusive amenities. 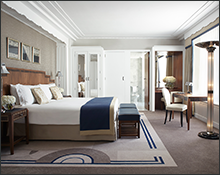 Enjoy a confirmed upgrade from Superior King Room to Deluxe King Room at the time of booking. An Island of Sensations and Luxury Awaits... As the wonderfully last and most secluded of hideaways on a stretch of Punta Cana shoreline, the award-winning Adults Only Sivory Punta Cana resort welcomes you to experience a quieter, more authentic Dominican Republic. 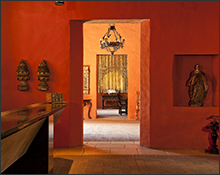 Originally built as a convent in 1621, the Sofitel Legend Cartagena Santa Clara is a legendary landmark in the heart of Cartagena's walled city. Discover the city’s historical sites with acomplimentary 4th night! 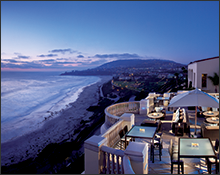 A captivating stay steeped in arts, culture and cuisine awaits you at THE US GRANT, a Luxury Collection Hotel, San Diego. Explore the surrounding Gaslamp Quarter and cobalt San Diego bay and more with a 4th night complimentary!